FREEBIE of the day! After posting about crownit survey where you can get Paytm cash up to Rs 100 for free, today we are again back with another such offer. Get Rs 9 paytm cash for FREE with AllTrickz. 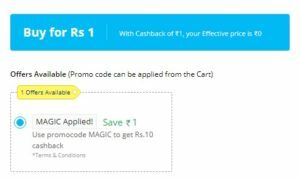 How to Get Rs 9 paytm cash for FREE? 1. 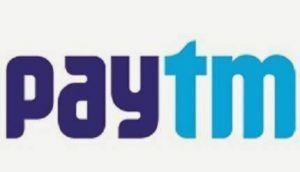 First of all, Go to Paytm offer page >> Login. 3. Click on Buy and make the payment of Rs 1 with any suitable method. 4. Done!!! You’ll receive your Rs 10 cashback instantly. 5. This code can only be used once per month per user.